Check out this sparkly Death Star tree topper. It makes for a very merry and geeky Christmas – unless, of course, you happen to live on Alderaan. 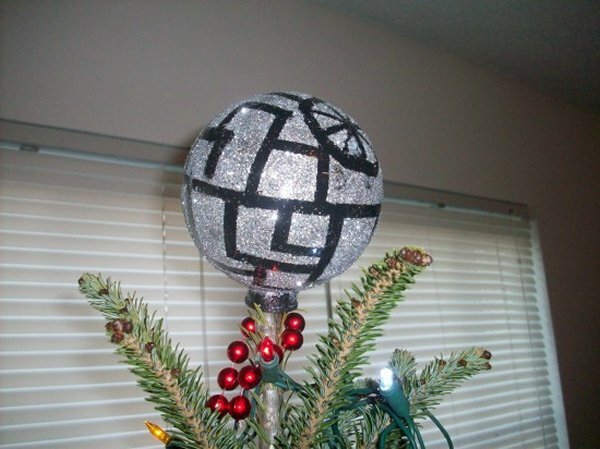 This DIY Death Star puts the ultimate power in the universe at the top of your tree. 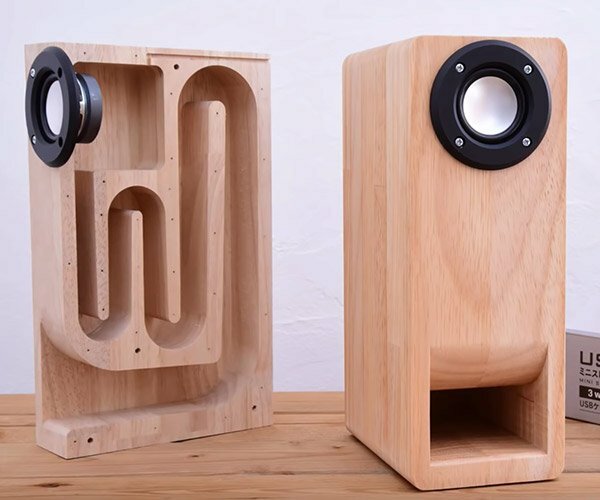 If you check out the instructions, you’ll see that it’s not all so hard to build either. In fact, after seeing how easy it is, I’m surprised the Empire couldn’t finish their second Death Star in the Endor system before Wedge and Lando had a chance to blow it up. 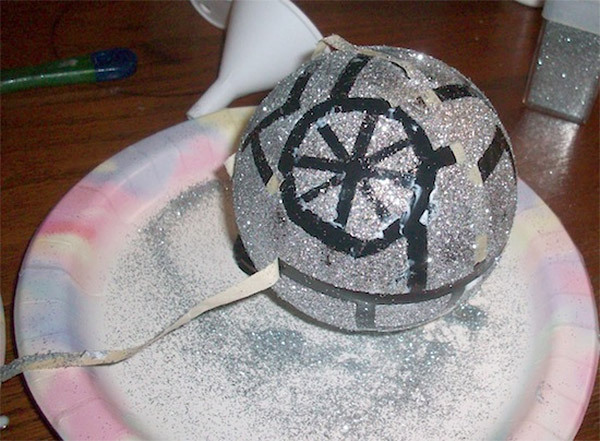 Basically, you just need some black acrylic paint, painter’s tape, glue, glitter, and a plastic round ornament thing. Your death-dealing space station will be fully operational after that – until an X-wing ornament on a lower branch flies up and gets a lucky shot at it.